By Jack Maher | May 7, 2013. The much-anticipated announcement of the 2013 Lions squad to tour Australia was finally made on 30 April, with coach Warren Gatland naming a strong side that includes nine Irishmen. The Lions team – made up of the best players from England, Wales, Ireland and Scotland – will be captained this summer by the 24-year-old Welsh flanker Sam Warburton. Warburton will lead a largely Welsh-dominated team, as the reigning Six Nations champions provide 15 of the 37 squad members. England have 10 players on the panel, while there are three representatives from Scotland. The number of Irish players selected for this year’s squad has been deemed satisfactory following what was a mediocre Six Nations campaign. Irish players picked for this tour include former Lions captains Brian O’Driscoll and Paul O’Connell; three other members of the 2009 squad: Jamie Heaslip, Rob Kearney and Tommy Bowe; and four rookies in the shape of Jonathan Sexton, Cian Healy, Conor Murray and Seán O’Brien. Notable Irish absentees include Simon Zebo, Mike Ross and Rory Best; the latter’s errant line-out throwing during the Six Nations seems to have cost him a place on the plane. Surprises in the squad include controversial England front rows Matt Stevens and Dylan Hartley. Another decision that may have raised a few eyebrows was the inclusion of New Zealand native and Scottish winger Sean Maitland. He is the cousin of Australian out-half Quade Cooper and a potential reunion of the pair may happen during one of the tests. The inclusion of Jamie Heaslip means that the Irish and Leinster number eight will be the only original captain from the Six Nations to be selected. Gethin Jenkins, who ended the campaign as Welsh captain, is in the touring party but there are no places for the man he succeeded Ryan Jones, England captain Chris Robshaw or Scottish captain Kelly Brown. The squad, which is split into 16 backs and 21 forwards, will first visit Hong Kong to play the opening game of their 10 game tour against the Barbarians on June 1. The side will then head to Australia where, after a few warm-up games, they will play the first test against the Wallabies on June 22 in Queensland. 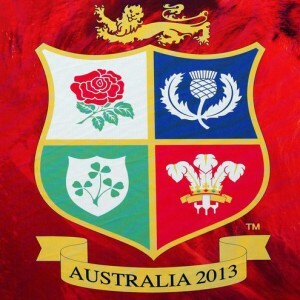 The 2013 Lions side would appear to have all the tools capable of coming home victorious. After three successive series defeats, Warburton’s side will be hoping to emulate the success enjoyed by the 1997 Lions team, led by England’s Martin Johnson.